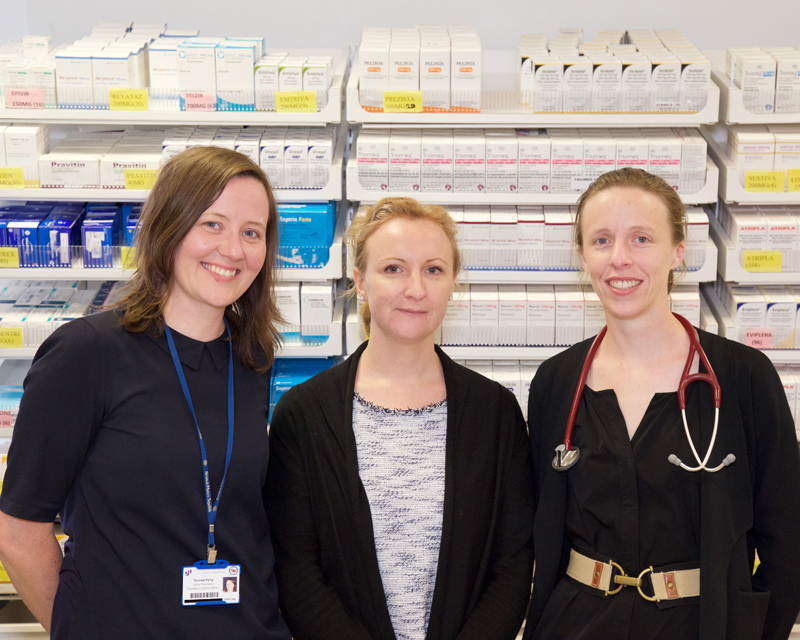 Pharmacist Sinead Kelly tells us about working in the GUIDe Clinic and why she is asking people to take part in this year’s Liberties Fun Run in aid of the clinic. What’s your role in the GUIDe Clinic? I am a pharmacist in the GUIDE clinic. I largely deal with HIV in-patients, in the dispensing of medicines, and also HIV and STI outpatients. In particular I will screen the prescriptions to check on any potential interaction with other drugs the patient may be taking, and I will consider the dosage level and provide information for patients and staff. Patients will speak to me directly if they have their own concerns about a drug that they are taking or starting on, and I will assist them with any enquiries or concerns. What are the challenges facing sexual health services today? Limited access to sexual health clinics and services right across Ireland. Limited resources, which ultimately impact on access for patients to our team here. Why are you asking people to do the Liberties Fun Run? I’ve run the race myself and it is really a lovely event. The race feels very much as part of our environment here at the hospital as it is our local area and you see lots of familiar faces at the race itself. The Fun Run really builds a sense of community with patients, staff and family. It is a good walk or run for anyone to have a go, as it is not too long at just over 6km. This year the funds will all go to our sexual health services here at GUIDe to upgrade some of our facilities, which is much needed. So I would encourage people to enjoy the evening and help GUIDe at the same time. What difference will fundraising make to the staff/ patients @ GUIDe? If we can up-grade any of our facilities regularly used by our out-patients and make the environment nicer, it puts people more at ease and creates a better experience when attending the clinic. That also means that people are more likely to return again and this is really important. Also, when patients are happier and feel that the physical environment that they are being treated in is of a good standard then the staff are also able to work better too. Prof Fiona Mulcahy at GUIDe. She is a personal inspiration to me working here at GUIDe. She is so inclusive as a person. She takes opinion from all the team and listens to us. She is really warm with our patients and has always championed their needs. You are hosting a dinner party and must invite 3 famous people (dead or alive!). Who will you invite? Jennifer Saunders as she would be great fun at a dinner party. Barack Obama as he would be so interesting and have so many stories to share with us. Bradley Cooper – for some Hollywood glamour.